This is a weekly meme run by Book Journey! Stop back for my full review on May 19. An excerpt from my review is below. THE CAKE THERAPIST by Judith Fertig for a June 2, 2015, post. LAST NIGHT AT THE BLUE ANGEL by Rebecca Rotert for a June 30, 2015, post. THE GIRL WROTE IN SILK by Kelli Estes for a July 7, 2015, post. IN THE DARK PLACES by Peter Robinson for an August 8, 2015, post. And....these are not for reading in the upcoming week. They are books into and including all of 2014. The "list" is a means of keeping me organized. A visual display helps a lot for organization along with my Excel lists. Thanks for stopping. I hope you have a lovely week. Nice! Lots of new to me ones here. Hope you enjoy your reads for the week! So many books! 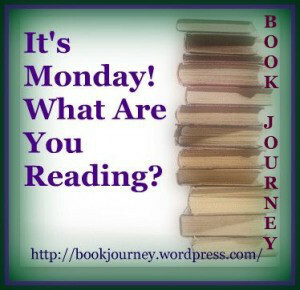 I see several that are already on my TBR and I loved The Beekeeper's Ball by Susan Wiggs. I'm curious about The Cake Therapist. I'll definitely be on the lookout for your thoughts on that one! I just finished The Cake Therapist. Loved it. It is a "sweet" read in more than one way. Little Black Lies sounds very interesting and The Cake Therapist looks yummy too, will be reading your reviews. Little Black Lies was good, Kathryn. Just finished The Cake Therapist...a "sweet" read. The Signature of All Things is a marvellous read - I could barely put it down. I have had The Signature of All Things on my to-be-read shelf since the 2012 BEA. Bad me. Great to hear it is so good. Thanks for stopping, Brona Joy.